More than Just Love Letters for your wedding. 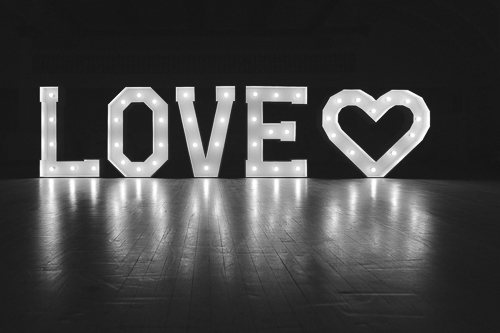 We build giant illuminated Love Letters to hire for your wedding or event. With 100 letters in stock we have the alphabet several times over. Meaning that we are able to supply any lettering to order that you may require, even if we don’t, we can make letters just for you in our Cumbria based Northern Love Letter workshop. We also hire and supply custom LED pixel creations such as our giant 8ft LED pixel heart. We can supply Selfie Mirror and Photobooth alongside our very popular Love Letters & Pixel creations too! We even arrange all of the delivery, set up and collections with your venue. Saving you time and stress on your wedding day. Our giant illuminated love letters are free standing and create a stunning feature for your guest’s arrival in the reception area. Providing a perfect backdrop for your guest’s photos. Alternatively, these can be placed behind the top table during the wedding breakfast or positioned by the dance floor, which makes a stunning focal point. 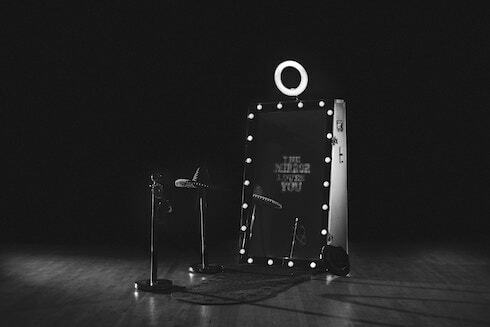 This amazing Selfie Mirror, sometimes called a Magic Mirror is great fun and supplied with a wide range of props for your guests to take as many photos they like to remember the great times of your event. Along side our Selfie Mirror we have our state of the art photobooth has all the latest effects including a green screen and ours has the added addition of our LED panel which can be connected to via any mobile phone to send personalised messages during your event. Both our Selfie Mirror and Photobooth come on a 3hr manned hire with unlimited photos, wedding album and USB. This beautiful 8ft LED heart is a unique and personal addition to your wedding day. Standing 8ft tall and 8ft wide you can stand or walk underneath and the heart itself. It contains 1300 individual LEDs that can display a dazzling array of patterns and can be programmed by yourself or your guests directly with messages or any wording that you like from any mobile phone. This item is custom built by us and is not available anywhere else.